The Brooklyn man accused of murdering Queens jogger Karina Vetrano has now also been charged with sexual abuse in the case, the Queens District Attorney's Office said. Chanel Lewis, 20, was arrested in February for second-degree murder, a little over six months after 30-year-old Vetrano's death. She was fatally strangled on Aug. 2, 2016, while jogging alone in Howard Beach in the borough of Queens, on a path where she and her father often ran together. Police do not believe Lewis knew Vetrano. Chanel Lewis, 20, was arrested for the murder of Queens, New York, jogger Karina Vetrano. Queens District Attorney Richard Brown said today that a Queens County grand jury returned a 13-count indictment charging Lewis with four counts of first-degree murder; five counts of second-degree murder; two counts of first-degree aggravated sexual abuse and two counts of first-degree sexual abuse. If convicted, Lewis faces up to life in prison without the possibility of parole. Lewis, who pleaded not guilty after his arrest in February and was ordered held without bail, will have his next arraignment on April 17. After Vetrano's death, police received over 250 leads and took 600 DNA samples. Lewis was first approached by police about the murder the week before his February arrest, police said. He gave a voluntary DNA sample, which matched DNA recovered from the crime scene, police said, and he was arrested for second-degree murder. Today the New York City Council honored New York Police Department Lt. John Russo for his "instrumental role in cracking the case." "Connecting the dots, Lt. John Russo of the 106th Precinct spent six months poring through records, eventually finding the suspect," the New York City Council said. 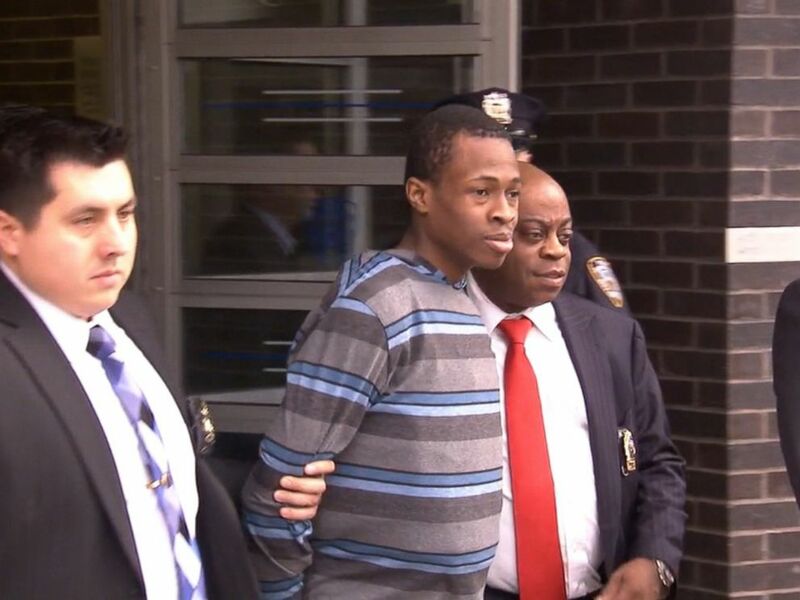 Once Lewis was arrested, Karina Vetrano's father, Phil Vetrano, told local New York ABC station WABC-TV that he will "absolutely" be at Lewis' trial.